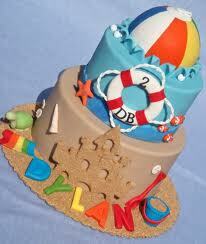 It’s summer and a great party theme idea is a Beach Party. We are blessed to live in beautiful Cape Town with its lovely beaches, but planning a party at an actual beach takes much planning and is very weather dependent. 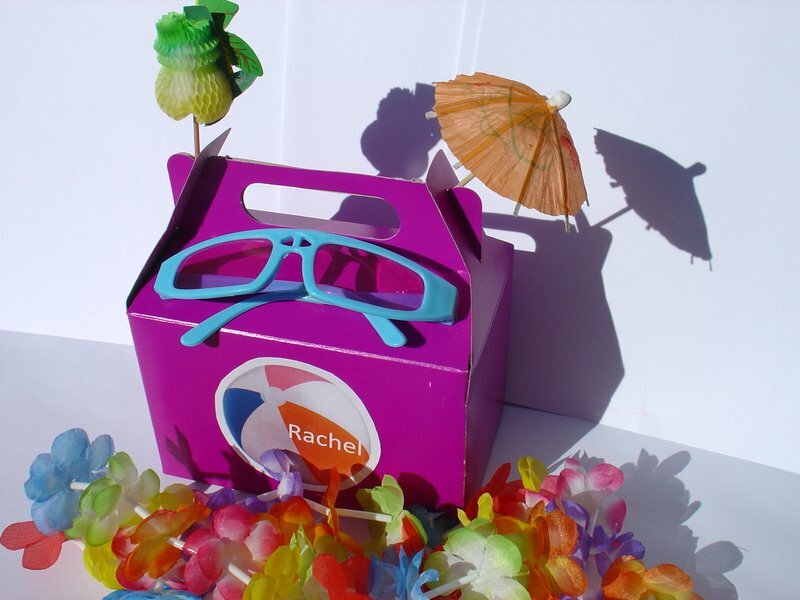 There are very few perfect beach days with our summer southeaster wind… so why not create a beach themed party at home? DRESS CODE: Ask the children to come dressed to the theme, wearing shorts/t-shirts or their costumes with towel/sarong. DECOR: Buy paper plates, cups and serviettes in bright colours if you cannot find beach themed tableware. You could also serve each child’s food in a party box that you can decorate according to the theme, or you can buy some cheap plastic buckets to put their munchies in. Get a few inflatable beach balls and scatter around the garden – these are fairly inexpensive and can be found cheaply for under R10 at some stores. Also buy a few buckets and spades to add to the decor which are also reasonably priced. FOOD: Sandwiches, hot dogs or any type of beach picnic type food would work well. A nice thing that the kids will love is a jelly boat which is easy to make by scooping out oranges and making jelly in them. 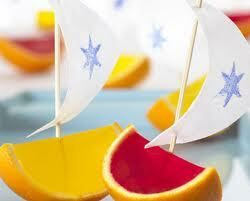 Decorate with a toothpick and a piece of paper for a sail. A firm favourite for summer is an ice lolly which are very easy to make in the lolly moulds you can buy cheaply. Either put yoghurt in to create a frozen yoghurt sucker, or fruit juice with some berries or pieces of fruit. DRINKS: Make the kids a “mocktail” that doesn’t include alcohol. 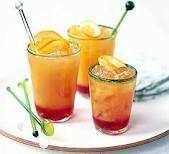 Use any type of fruit juice, cut up some pieces of fruit to put in, and add a drop of grenadin syrup to add some colour to the cocktail. Serve chilled with straws you can even decorate with a cocktail umbrella or fruit. PARTY FAVOURS: Instead of putting together formal party packs, you could allow each child to take home one of the beach balls or buckets and spades as a thank you gift for attending your child’s party. ACTIVITIES: This theme is pretty easy to plan fun things for kids to do. Where there is water involved, kids generally have fun so you may not need to think up lots of games for them to play. A fun idea is to create your own “beach” either by using a sandpit, or by putting down plastic sheeting and getting bags of sand to put on it. You can then create a sand castle building competition for the kids to take part in. If you have a swimming pool, bigger kids will love to spend their time swimming and jumping in and out the pool. You could get a few extra pool toys like pool noodles, lilo’s, inflatable rings, blow up dolphins, etc to make it interesting for them. 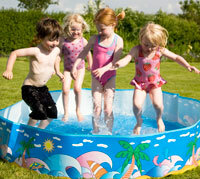 If the children are younger, you may like to put up a smaller paddling pool for them to play in. Beach bats and balls are also great tools for coming up with games for the kids to play. Either play a traditional beach bat game or come up with something different, like getting the kids to stand in a row and they have to take turns to bounce the ball to each other and drop the ball in a bucket at the end – the winning team would then win a prize. If you want to splash out and spend a bit more, you can hire one of the stunning water-themed inflatables from a party supplier. These cost around R600 to hire and may or may not include delivery costs.